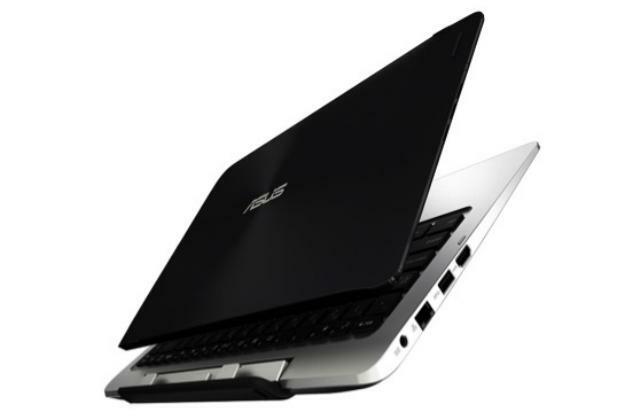 Asus has a history of striving to be at the forefront of innovation in mobile PCs, and that hasn’t changed at CES 2014. The company has unveiled the VivoTab Note 8, a Windows 8.1 tablet running an Intel “Bay Trail” Atom processor quad-core processor. This gives it more power than previous small Windows tablet, but battery life remains at a respectable 8 hours. Other important specifications include 2GB of RAM, an HD IPS display and a Wacom digitizer stylus. Up to 64GB of on-board storage is available, and it can be paired with up to a 64GB SD Card storage for a total of up to 128GB. That’s a lot for a small tablet. Pricing has not been announced; availability is expected late first quarter to early second quarter, which roughly translates to spring 2014. The Transformer Book line is gaining a new entry, as well, in the form of the Duet TD300. Flexibility is the system’s standout feature, as it can switch between Windows and Android with the touch of a button. And, as a convertible tablet device, the system can be used as a laptop, miniature all-in-one or tablet. Asus has also managed to stuff excellent hardware in the device, including an Intel Core i7 processor, 4GB of RAM and a 1080p IPS display. The tablet portion offers up to 128GB of storage, while the keyboard dock can handle mechanical drives as large as 1TB. 802.11ac Wi-Fi and Bluetooth 4.0 round out the features. Pricing again is unavailable, and you’ll have to wait to find out, as the TD300 isn’t slated for release until mid-year. And now for something completely different: a gaming monitor. 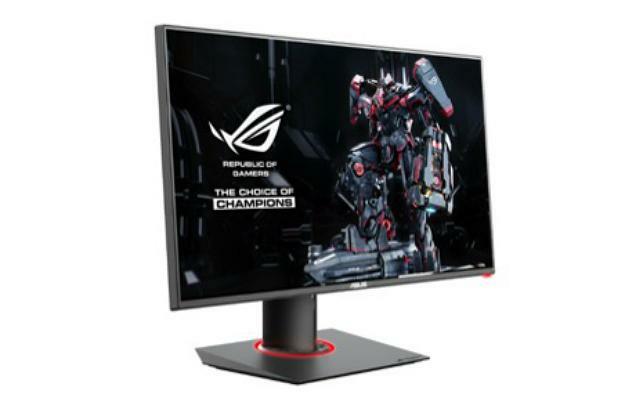 The new ROG Swift PG278Q, a 27-inch 2,560 x 1,440 monitor is packed full of features like 120Hz operation and Nvidia G-Sync compatibility. Asus has also added a unique on-screen display function called GamePlus, which can add a cross-hair and timer function to any game. Other highlights include VESA compatibility, a claimed gray-to-gray response time of 1ms and a stand that is adjustable for height, swivel and pivot. Even the bezel is thin at 6 millimeters, which will help gamers with multi-monitor arrangements. The price is expected to be $799 when this monitor arrive in the second quarter of 2014.